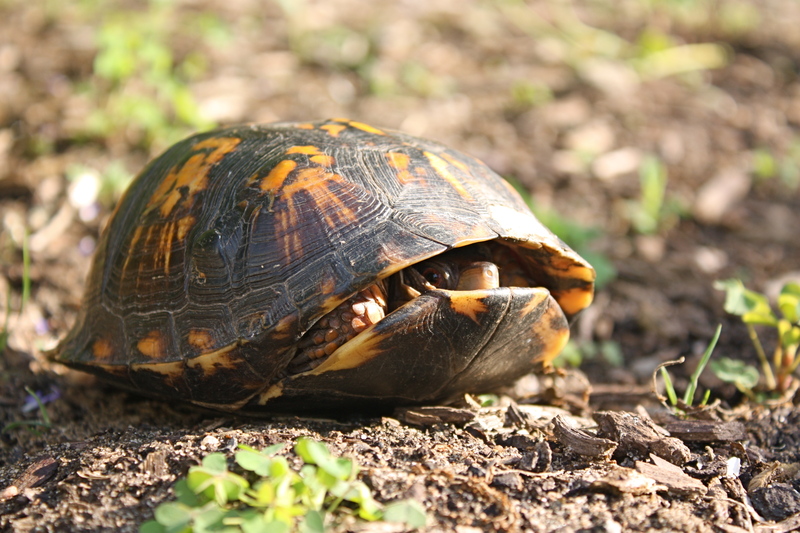 Spring Photos – Turtles, Mayapples, and Insects, Oh My! Eastern Box Turtle. Female by tell of eye color and flatness of plastron (bottom shell area). Copyright The Roaming Naturalist. My red potatoes are flowering! Grown in a 5 gallon bucket. Copyright The Roaming Naturalist. Another Eastern Box Turtle, obviously trying to take over the world. Ranger photo, Maryland Park Service. Not sure of the common name – found “leather beetle” or “horned passalus.” Odontotaenius disjunctus. Either way, huge. Photo courtesy of Ranger S. Andrucyk, Maryland Park Service. Luna Moth, courtesy of Ranger S. Andrucyk, Maryland Park Service. 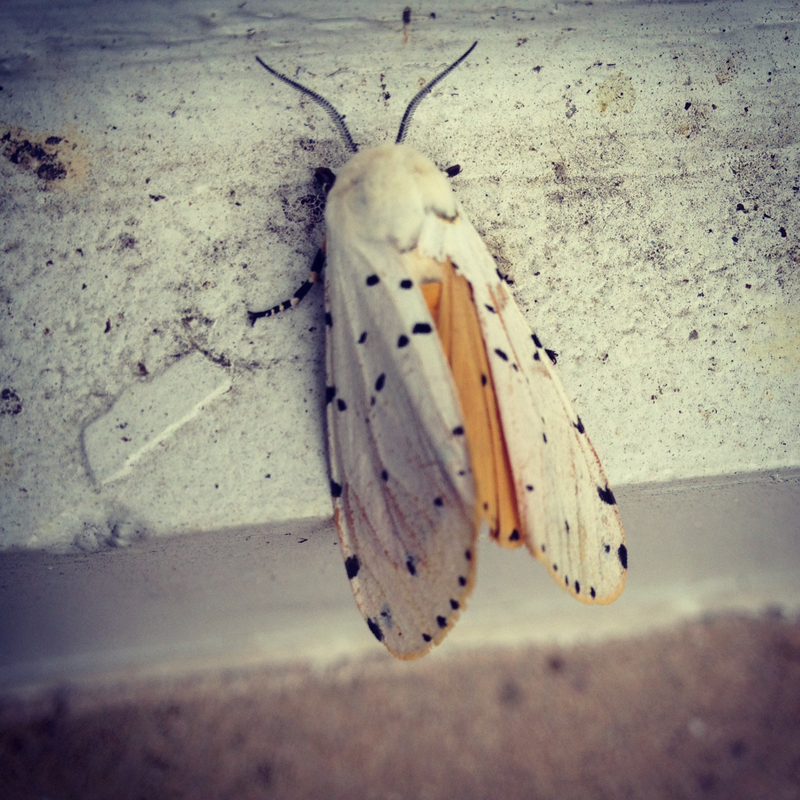 White Ermine Moth, Spilosoma lubricipeda. Photo courtesy of Ranger S. Andrucyk, Maryland Park Service. Watchful eye. Eastern Box Turtle. Copyright The Roaming Naturalist. I got this book because I wanted a nice, well-rounded introduction to producing food, livestock, and other edibles on my property, regardless of the size of my property, and I wanted it to appeal to someone who really didn’t know much about the topic.